The Incredible Hulk is officially a Bexar County (Texas) deputy. 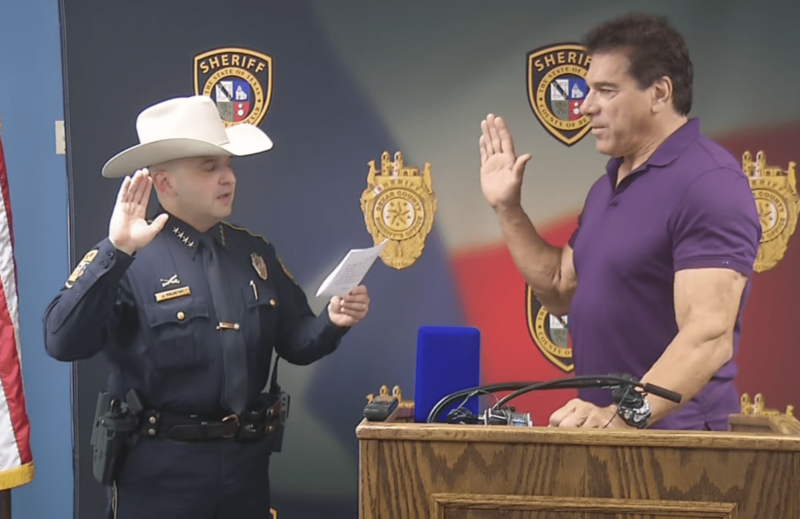 Lou “The Incredible Hulk” Ferrigno was sworn in as an honorary deputy on Friday morning, ahead of his appearance at Alamo City Comic Con. On Friday, Bexar County Sheriff Javier Salazar swore in Lou Ferrigno, who portrayed The Hulk in the late ’70s and early ’80s, as an honorary member of the department. Ferrigno, 66, has received an honorary deputy status at other sheriff’s departments elsewhere in Texas as well as in California. As part of the swearing-in, Salazar presented Ferrigno with a special badge and gift. Afterward, those in attendance were able to ask questions.